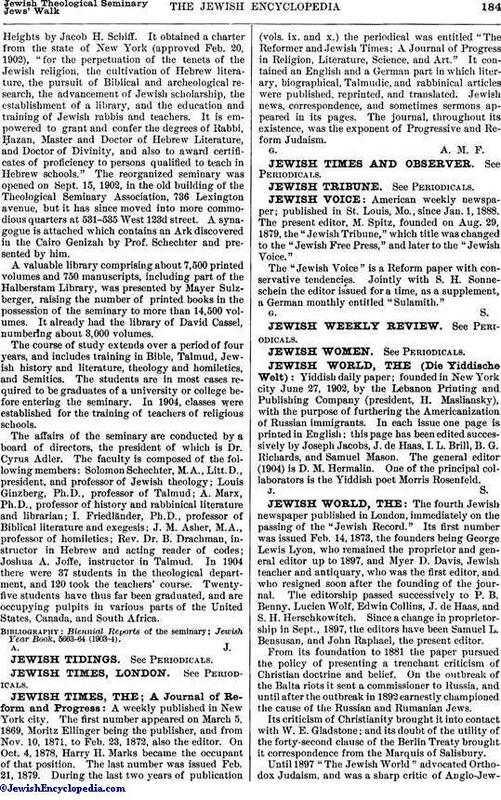 Yiddish daily paper; founded in New York city June 27, 1902, by the Lebanon Printing and Publishing Company (president, H. Masliansky), with the purpose of furthering the Americanization of Russian immigrants. In each issue one page is printed in English; this page has been edited successively by Joseph Jacobs, J. de Haas, I. L. Brill, B. G. Richards, and Samuel Mason. The general editor (1904) is D. M. Hermalin. One of the principal collaborators is the Yiddish poet Morris Rosenfeld.